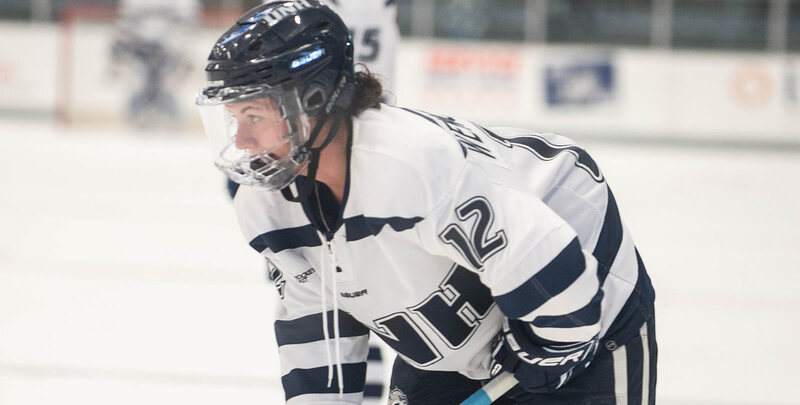 New Hampshire swept a two-game set over Maine, 5-2 and 3-2, at the Whittemore Center. Junior forward Taylor Wenczkowski (Rochester, N.H.) scored both game-winning goals for the Wildcats. All three of her goals game in the third period across the two outings. Boston University improved its unbeaten streak to eight games (7-0-1), which is tied for the longest active unbeaten streak in the country, with a 7-2 win at Vermont. Jesse Compher (Northbrook, Ill./14g, 32a) is the only non-Clarkson player in the country to have over 40 points this season. Northeastern sophomore defenseman Skylar Fontaine (East Greenwich, R.I.) scored the game-winning overtime goal and set up the game-tying goal in a 2-1 comeback win at UConn on Friday to extend her point-streak to five games (3g, 4a). 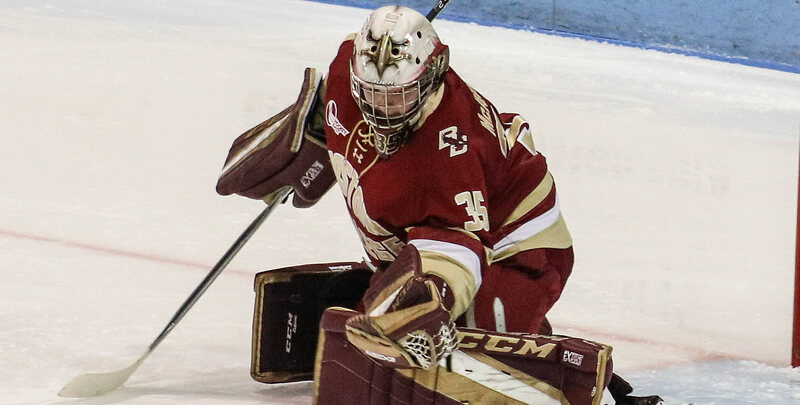 Boston College captured a 6-0 win over Holy Cross on Friday behind a 16-save shutout from rookie goaltender Maddy McArthur (St. Catherines, Ont.). It was the fifth shutout of the season for the backstop, tying her for the national lead in the category. 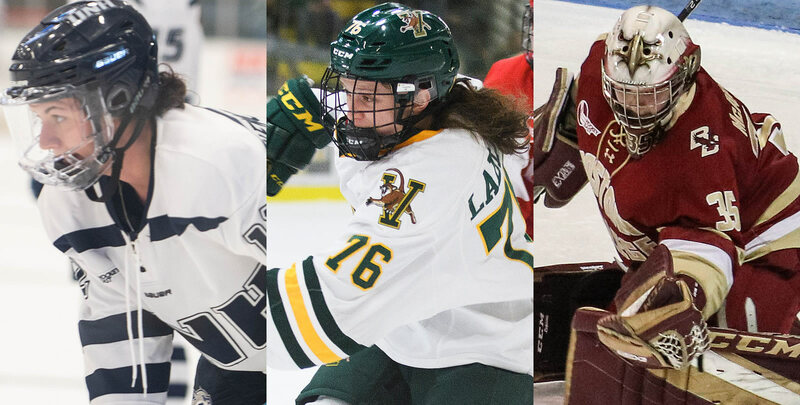 The 41st annual Women's Beanpot, college hockey's longest running women's tournament, begins Tuesday night. Harvard University serves as the 2019 host, while each game of the tournament will be televised on NESN and NESNplus. Northeastern has a chance to secure at least a share of the 201 8-19 Hockey East regular season crown with a win on Friday against Merrimack. With a victory over the Warriors, the Huskies would have 40 points in WHEA play, while Boston College can reach no higher than 40 points maximum. Maude Poulin-Labelle (Sherbrooke, Que.) picked up two points (1g, 1a) in a 2-1 win over Holy Cross on Sunday for the Catamounts. The freshman netted the game-winning goal at 18:33 of the first period, helping Vermont to its fourth road win of the year. Maddy McArthur (St. Catherines, Ont.) stopped all 16 shots she faced from Holy Cross to pick up her fifth shutout of the year on Friday night. Her fifth blank sheet lifted her into a tie for the national lead in perfect games. Kelly Brown, BC (Fr., F; Burlington, Mass.) Racked up a career-high three points (1g, 2a) in Boston College's 6-0 win over Holy Cross on Friday. She finished with a league-best plus-four rating. Kali Flanagan, BC (Sr., D; Burlington, Mass.) Posted three assists, tying her career high, in the Eagles' 6-0 triumph over Holy Cross, including setting up the game-winning tally. Sammy Davis, BU (Jr., F; Pembroke, Mass.) Matched her career highs with four points and three assists in the Terriers' 7-2 win at Vermont on Friday night. She had a hand in four straight goals to push BU to a 5-1 lead over the Catamounts. She currently leads the team with 18 goals and is second with 19 assists. 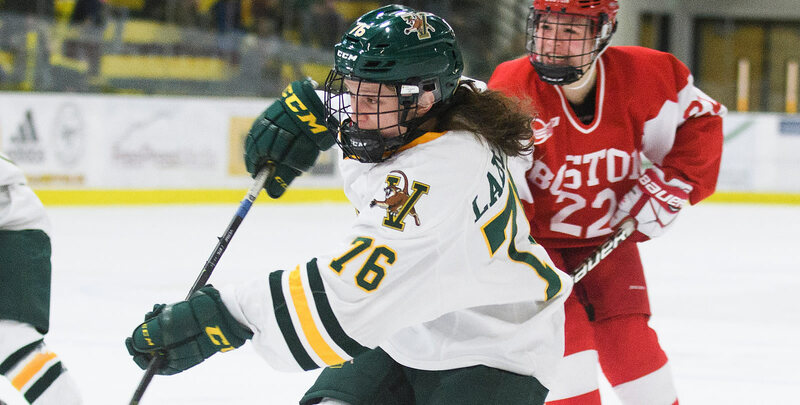 Emma Wuthrich, BU (Fr., F; Anchorage, Alaska) Scored a career-best two goals in a 7-2 win at Vermont on Friday night, leading all league rookies with two scores last weekend. Corinne Schroeder, BU (So., G; Elm Creek, Man.) Stopped 16 shots, including all eight she saw in the third period, to backbone BU to the 7-2 victory at Vermont on Friday. She moved the Terriers' unbeaten streak to eight games (7-0-1), tied for the longest streak in the nation. Jenna Rheault, UNH (Sr., D; Deering, N.H.) Picked up four points (1g, 3a) to help New Hampshire sweep Maine. She finished the weekend with a plus-four rating. Chloe Aurard, NU (Fr., F: Villard-de-Lans, France) Netted the game-tying goal with just 1:36 left in regulation to force overtime in an eventual 2-1 win over UConn. Skylar Fontaine, NU (So., D; East Greenwich, R.I.) Scored the game-winning overtime goal and set up the game-tying goal in a 2-1 comeback win at UConn on Friday. With the Huskies trailing in the final two minutes of the third, Fontaine was the only assist on the game-tying goal, before scoring the game-winner at 3:31 in overtime to extend her point-streak to five games (3g, 4a). Emily Landry, PC (Sr., F; Orangeville, Ont.) Found the back of the net in each game of a 1-0-1 weekend for the Friars, including the game-winning goal in Saturday's 3-1 victory over UConn. Madison Myers, PC (Sr., G; Colchester, Vt.) Made 32 saves in 2-2 tie at Merrimack on Friday before kicking out 18 in Saturday's 3-1 win over UConn. She finished the weekend with a 1.50 goals against average and a .943 save percentage while moving to 17-8-1 on the year.